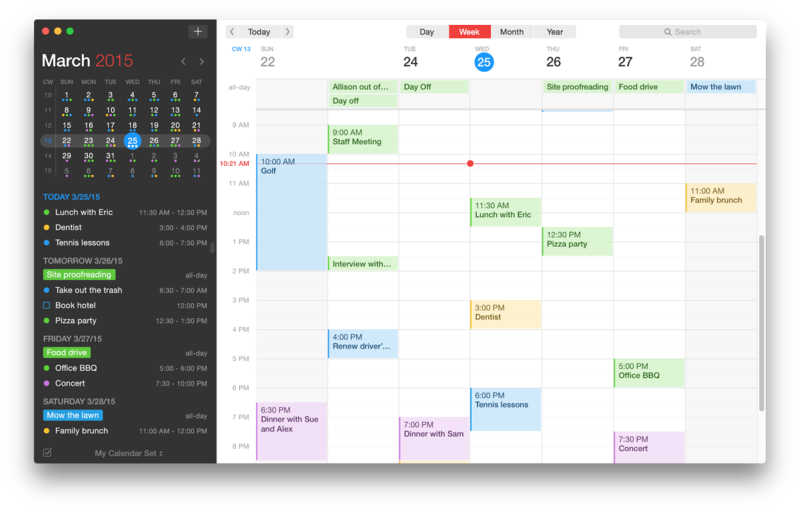 The calendar mavens over at Flexibits have released a major update to their popular calendaring app, Fantastical 2 for Mac! 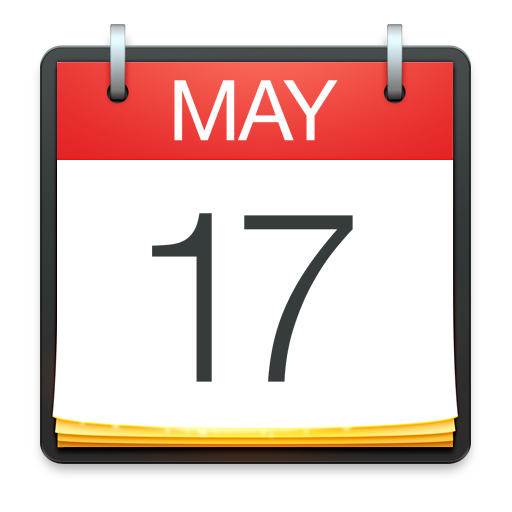 A short video of Fantastical 2 for Mac in action is available on the Flexibits website. Designed exclusively for OS X Yosemite, Fantastical 2 for Mac includes features such as a full calendar window (with day, week, month, and year views), an intuitive parsing engine, iCloud reminders support, light theme, time zone support, birthday reminders, and much more. Fantastical 2 has a beautiful all-new design and includes many OS X Yosemite features, including a Today Widget, Action & Share Extensions, plus Handoff support to provide continuity between Fantastical 2 for Mac, Fantastical 2 for iPhone, and Fantastical 2 for iPad. Fantastical 2 for Mac’s natural language parsing engine has been updated to be even more friendly and flexible. The parsing engine now understands expressive repeating events such as third Thursday of every month, every weekend, last weekday of the month, and more. Plus, users can now add alerts by ending their natural language input with phrases such as "remind me tomorrow at 3PM", "alert 1 hour before", or "alarm 3PM." "When Fantastical came out 4 years ago, our goal was to reinvent the calendar app to ease the frustrations of using calendars," said Michael Simmons, CEO & President of Flexibits. 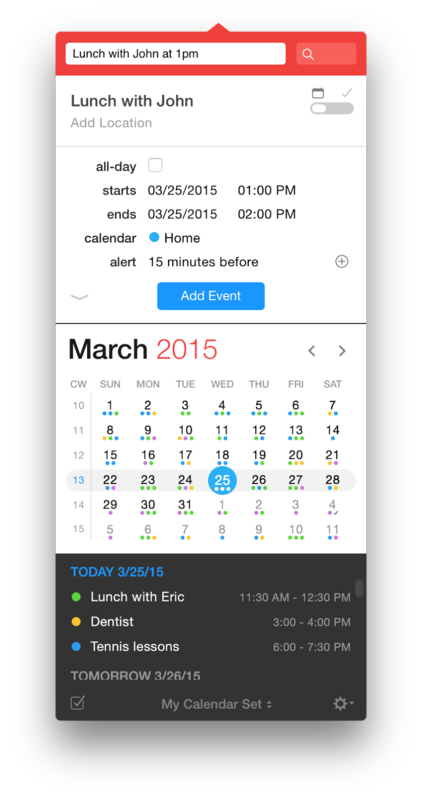 "With Fantastical 2, we challenged ourselves to reinvent Fantastical itself." I think for me, the perfect integration with Mac OS X Yosemite with the ability to use OS X Dictation, Today view, and Handoff to/from my iPhone and iPad together with Flexibits natural language parsing engine are the killer features that make this upgrade well worth the purchase price. In addition to the super functional Mac toolbar mini window, Flexibits has included a new very handsome looking Today widget. But the big new visual enhancement for Fantastical for Mac is the new full calendar view. Fantastical 2 is available now directly from the Mac App Store for $39.99. As the name implies, this is a completely new version of Fantastical, which means if you have already purchased Fanastical 1 for Mac, you will need to purchase it again. The enhancements found in Fantastical 2 for Mac are really well worth it. Plus, you are helping out some great indie Mac developers in the process.